The Impact on indigenous Fijians of Merging Government Scholarship Programs show that Fijians are taking second place to Indians in Government funded scholarships. This is another nail in the coffin of indigenous Fijians as a people. Soon their native lands will be stolen from them by Bainimarama and Kahiyum as part of their corrupt money making deals for themselves and their parasitic and corrupt relatives and friends. According to FijiLeaks the scholarship gap before the merger were somewhat marginal. However it is now compounded, giving the upper edge to Indo-Fijians after the introduction of a merit-based system in 2010. 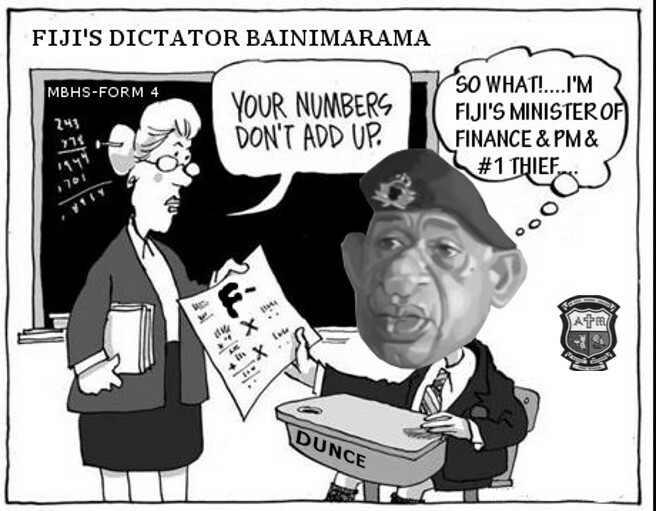 Thanks to Bainimarama and his idiotic Senior RFMF officers. This is Fijian against Fijian while Kahiyum and his parasitic supporters milk Fiji of its opportunities, wealth and resources. Meanwhile Fijians have lost their identity – and are now called iTaukei by Bainimarama’s Junta. This is an insult to Fijians, but other Fijians, the ones with the guns, are running around intimidating and assaulting their own people and forcing them to follow Bainimarama, a kai-loma or half-caste from Kiuva and his puppet master Khaiyum. The changing face of scholarships in Fiji is outlined in the following tables posted on FijiLeaks.